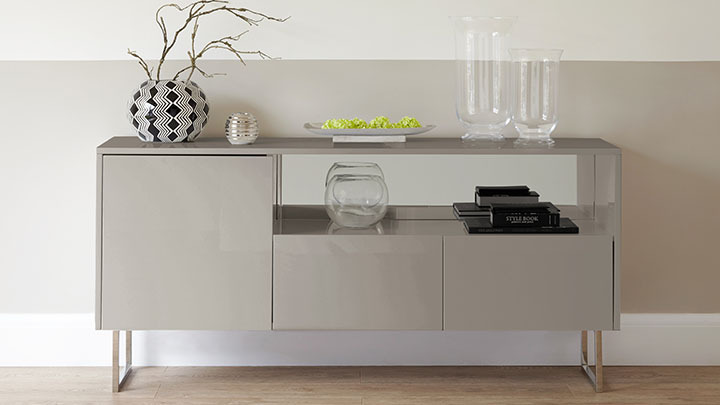 Smooth clean finishes, crisp reflective surfaces and a shape and colour that's uber modern- our Reflect Grey Gloss and Chrome Sideboard really does radiate elegance and sophistication. Whether you're looking for a stylish hub to store your plates ready for dinner or a place to showcase those beautiful photos from your recent trip away, this modern sideboard would be a very smart choice if you're looking to add a piece of effortless elegance to your home. At 159 x 45 x 75 cm, this Grey Gloss Reflect Sideboard really is a good size. This is because any bigger than this and there isn't really enough space for it. Any smaller than this and it looks a bit meager in relation to the rest of the space. It's this thoughtful sizing that makes the sideboard ideal for an alcove near a fireplace, a media room, a kitchen or even a home office. It's a very versatile piece! 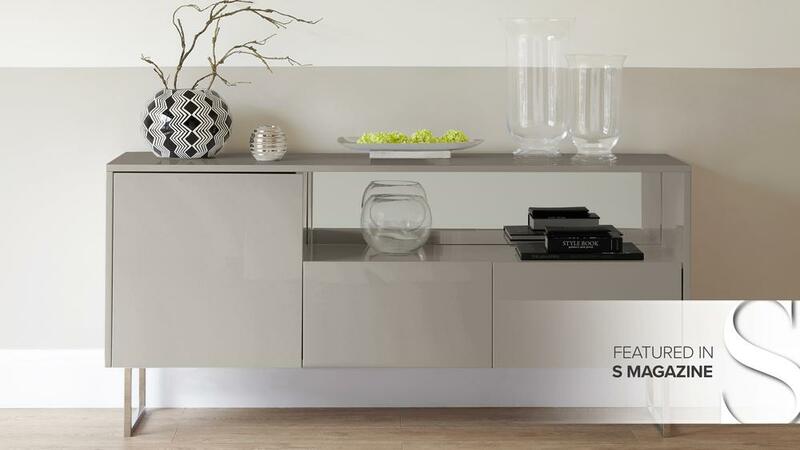 This Reflect Sideboard has 1 cupboard, 2 drawers and a mirror backed shelf. Rather than being small nooks and crannies where you can't store anything, the draws are a good size allowing for plenty of storage space. 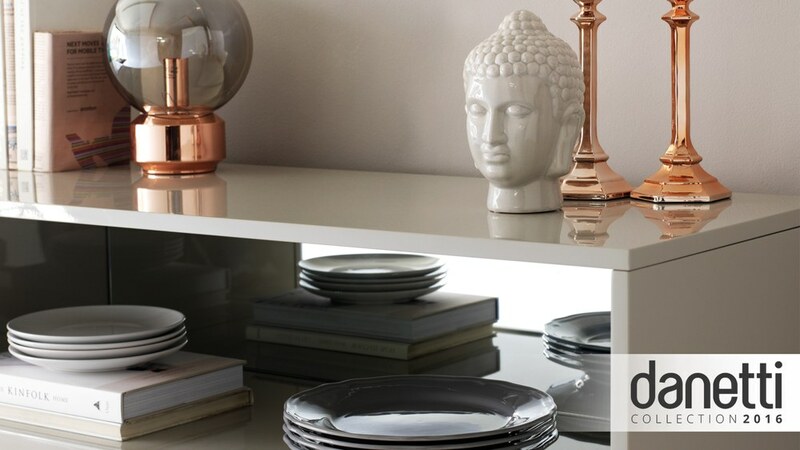 The use of a mirror is a very thoughtful feature as it not only gives a feeling of lightness and space but also offers a perfect place to decoratively display your favourite photographs or ornaments. 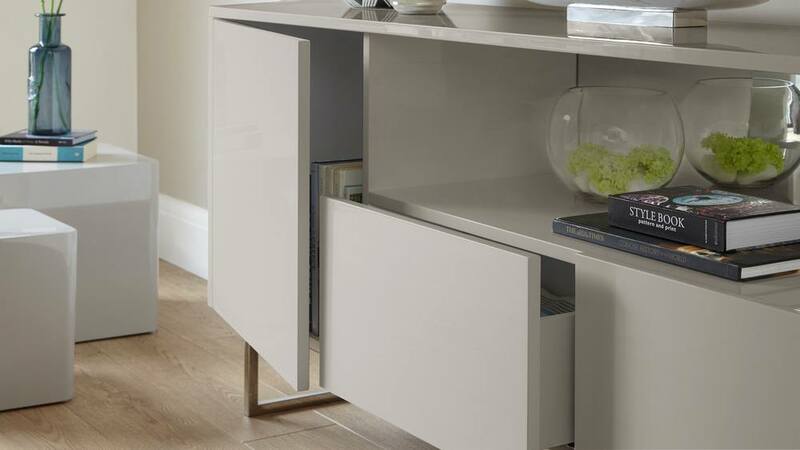 Despite it not being the traditional home for a sideboard, the mirrored element of this unit makes it a lovely piece for your bedroom. Just think- you could add a touch of sleek style and sophistication to your room, all the while having somewhere to neatly store your shirts and socks. 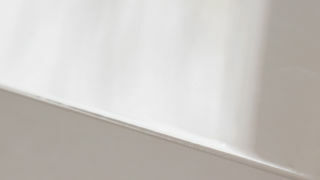 The drawers and door of this unit have a convenient soft closure, with a 3mm overhang at the top of the drawers to open. 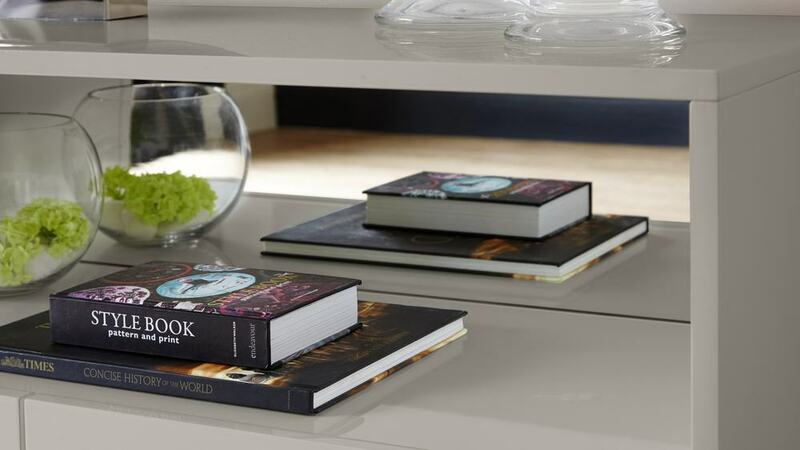 This means there is no need for handles on the front, keeping the unit looking sleek and uninterrupted. The high gloss finish of this Grey Gloss Reflect Sideboard has been applied in 3 layers, each dried for 12 hours. This ensures a highly reflective and hard finish that you wouldn't get on unit that uses a low quality gloss. 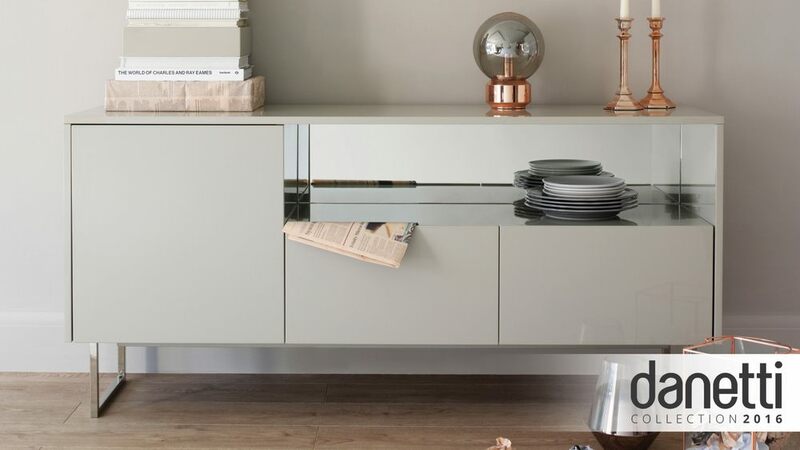 We've invested a great deal of time and thought into the design of the Reflect Grey Gloss and Chrome Sideboard, ensuring it has been engineered with style and practicality in mind. This has resulted in a harmonious piece that will look effortlessly good wherever you choose to place it in your home. Other items in the Exclusively Danetti with Julia Kendell range include the Form Chrome Barstools and Zen 6 Seater Grey Gloss and Oak Table. To find out more about Julia and the range and to check out our behind the scenes video, visit our 'Exclusively Danetti with Julia Kendell Collection' page. 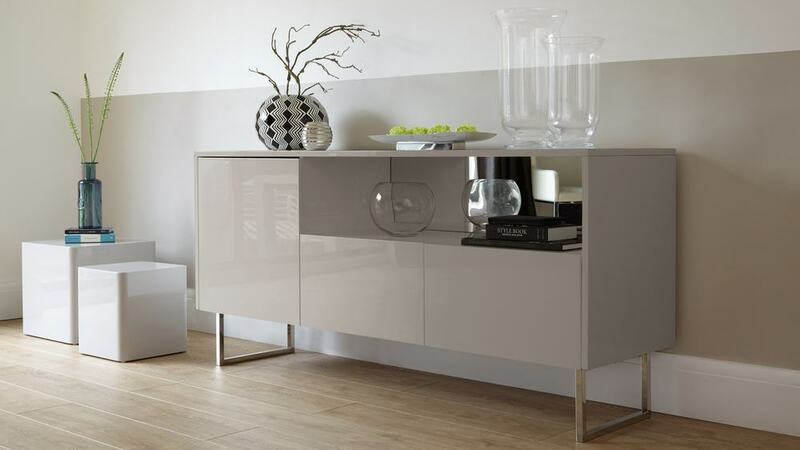 This sideboard is from our Exclusively Danetti range with Interior Designer and Presenter Julia Kendell.